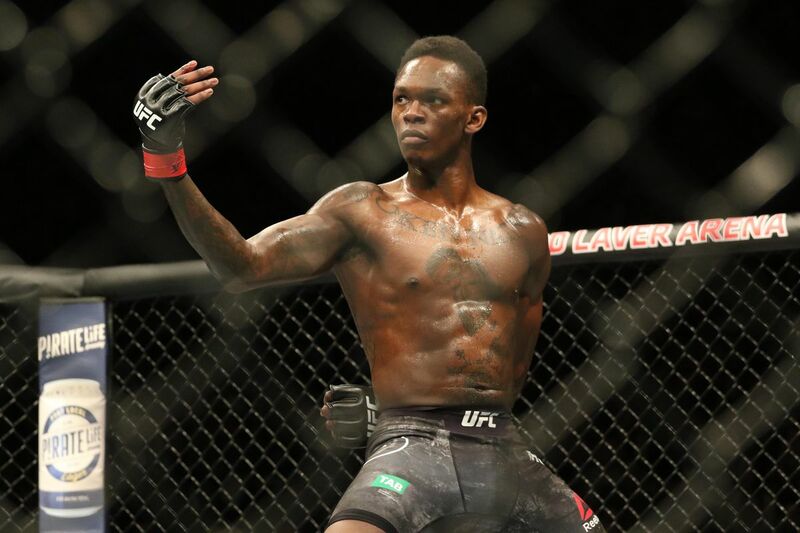 Is Israel Adesanya the next Middleweight champion and will he ko Robert Whitaker if they fight? Discussion in 'UFC Discussion' started by KevinLee, Apr 12, 2019. Only Here for Attachments and smileyfacedkill2** like this. Space Dog, jojoRed, Drugstore Cowboy and 2 others like this. I think KG would sleep Whittaker too. JJ Frog, muaytao and greenhawk like this. Twink182, greenhawk, Juan Bombadil and 2 others like this. I believe Whittaker struggles with pure strikers. He does well against wrestlers/grapplers because of his amazing TDD and usually has the advantage in the striking realm against those guys. He was able to beat Brunson, Jacare and Romero (first fight) because of his TDD and being able to lit them up on the feet. He got beat by Wonderboy. Romero changed training coaches and adopted a new boxing style which gave Whittaker hell. Mousasi has been claimed as a bad matchup for Whittaker. Twink182, EVIL WAR GOD and smileyfacedkill2** like this. Fesaine and TriangleMonkey like this. I dont think so. Whittaker is just so damn slick and quick with his movements. If Israel does, it will be with a leg kick or knee IMO. JJ Frog and Fesaine like this. Whittaker is constantly underrated on here despite his consistently great performances. Because he's soft spoken maybe. He could beat Adesanya any way he wants. Nothing suggests to me that Adesanya is even near Whittaker's level. juanM3 and Twink182 like this. Isreal beats Gas for sure.. But Knuckles is on another level to Kelvin, him vs Isreal would be a great match up and we'll probably get it this year. Eh let's see if he gets by Kelvin first. There was Silva...then Jones....now Israel. He's different than anyone I've seen in mma. I'm most interested in his wrestling. I think he's going to be the next middleweight champion. If adesanya is like Silva. Then Whittaker is your Rich Franklin. Silva destroyed rich before in his home town. Israel will be fighting Rob in Australia. I think Israel would beat Whittaker but I feel like he's going to have a hard time with Gas tomorrow. I hope I'm wrong I'd like to see Israel become champ this year. Whittaker is the most underrated champ ever. Lasse Stefanz and TriangleMonkey like this. I see him going on a run and defending the title a few times. Adesanya is a significantly better and more active striker than Romero.